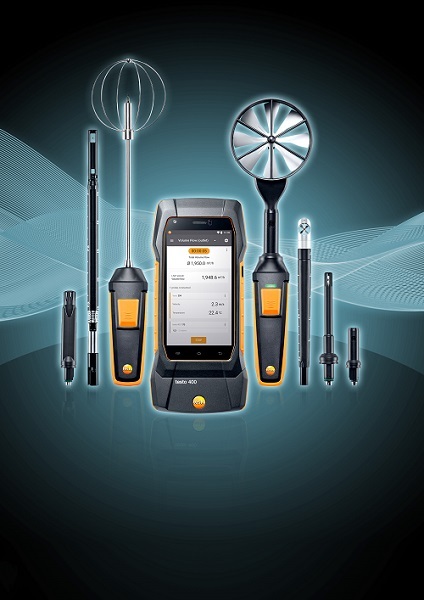 The new testo 400 is the universal measuring instrument for all air flow and IAQ applications, and impresses with smart technology, fast readiness and convenient application. The measurement technology expert Testo once again rings in the new generation of IAQ measurement technology: The new testo 400 is the universal measuring instrument for all air flow and IAQ applications, and impresses with smart technology, fast readiness and convenient application. With the testo 400, Testo has cleverly extended its range of measurement technology for all volume flow and comfort measurements. The universal testo 400 is not just smarter, faster and better – it is also seamlessly integrated into Testo’s comprehensive IAQ range. The range of probes for the new measuring instrument is among the broadest in the market. 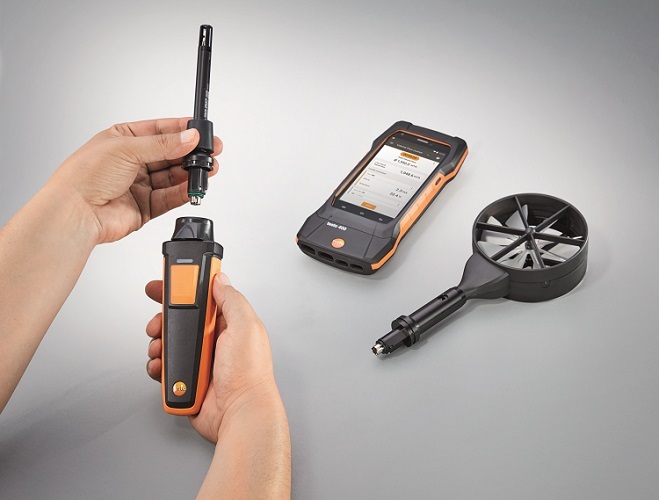 In addition to this, the Testo Smart Probes can also be connected to the universal measuring instrument. 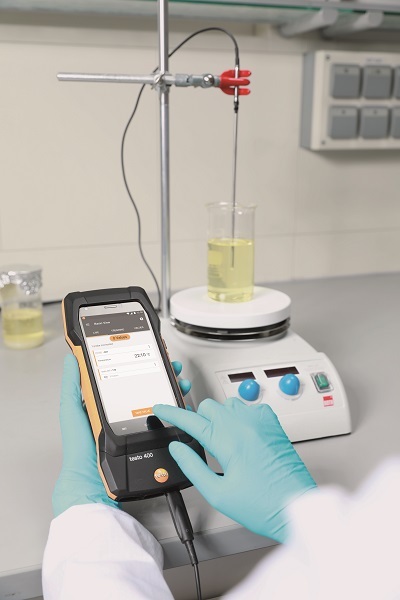 The testo 400 itself offers innovative functions which make the user’s job easier in every way, and allow reliable, norm-compliant measurement including documentation. 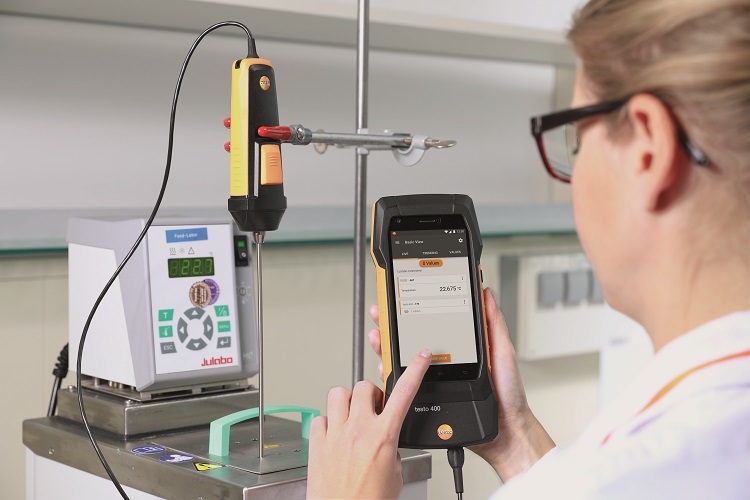 The new testo 400 allows all probes to be quickly and easily exchanged during the measurement. This eliminates the need for a bothersome instrument re-start, and the waiting times involved for booting and shutting down. The testo 400 features clearly structured and unambiguously guided measurement menus which guide the user safely and easily through the whole application. A traffic-light system evaluates the measurement results objectively and unambiguously – for norm-compliant and error-free measurement results in all volume flow and comfort measurements. Thanks to the broad selection of probes, all IAQ, ventilation and comfort parameters can be precisely and reliably measured. The IAQ portfolio covers digital Bluetooth probes, digital cable probes, the Testo Smart Probes as well as NTC and TC temperature probes (Type K). Five digital PT100 temperature probes are new in the range. If probes need to be calibrated, this is possible independently of the measuring instrument. The testo 400 can continue to be used with other probes while the affected probe heads are in service for calibration. Instead of having to go back to the office after the measurement, the documentation of the measurement job can be finished directly on site with the customer. The measurement reports incl. measurement values and customer data can be conveniently sent by e-mail and are also stored in the instrument.